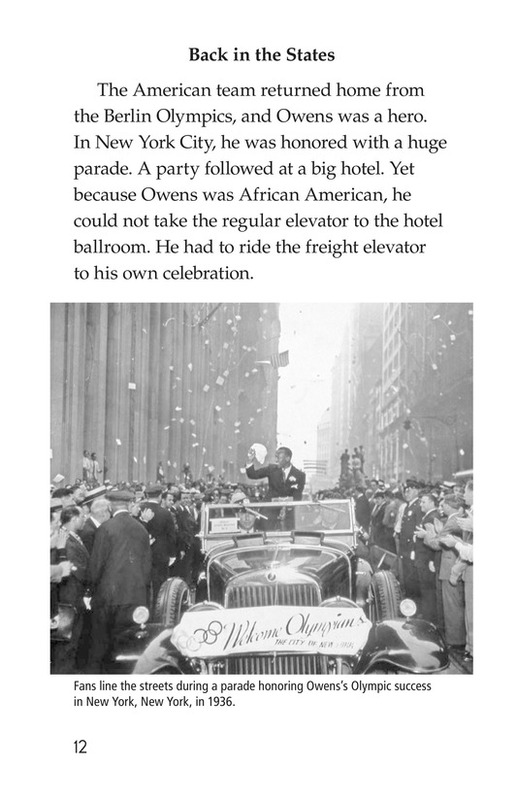 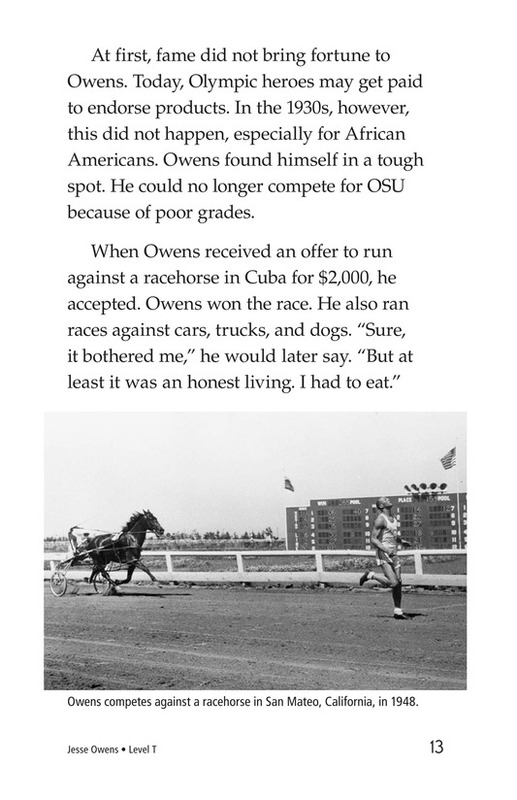 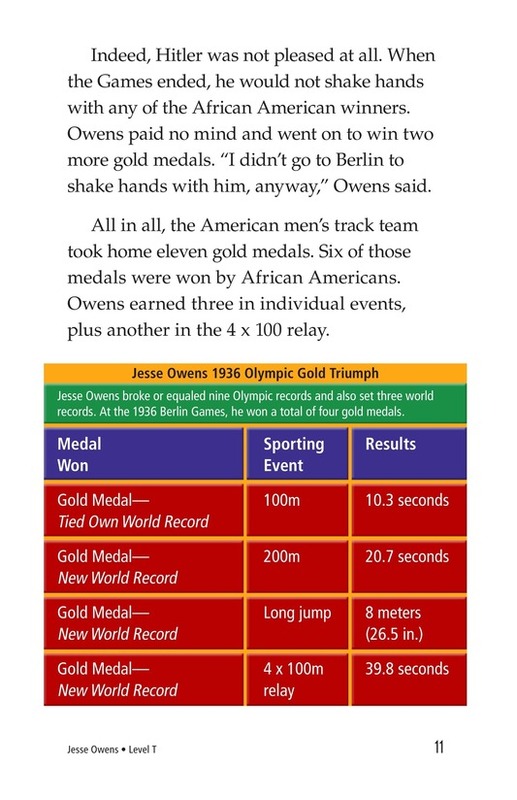 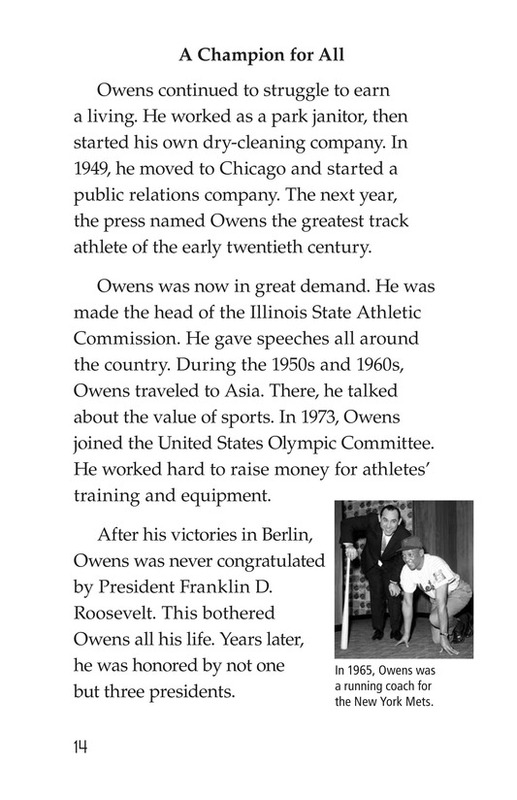 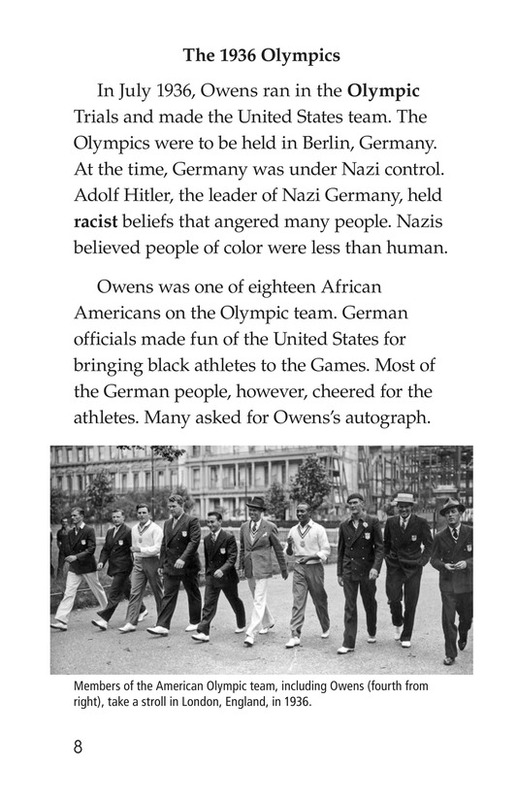 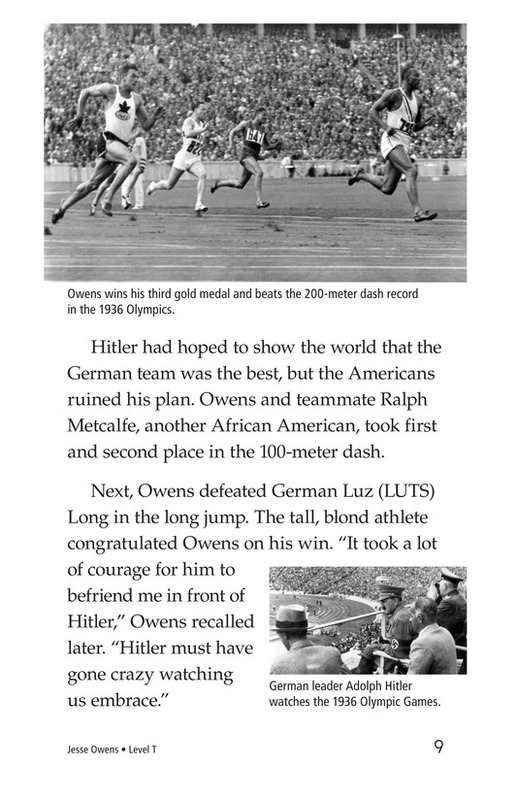 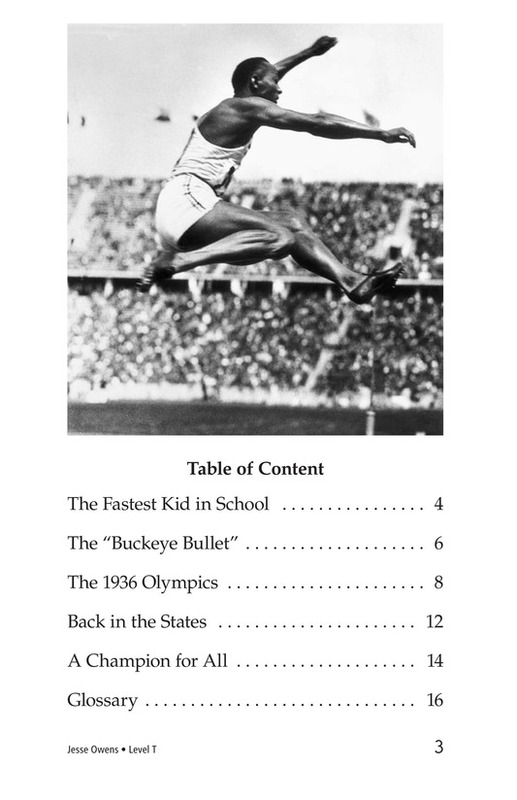 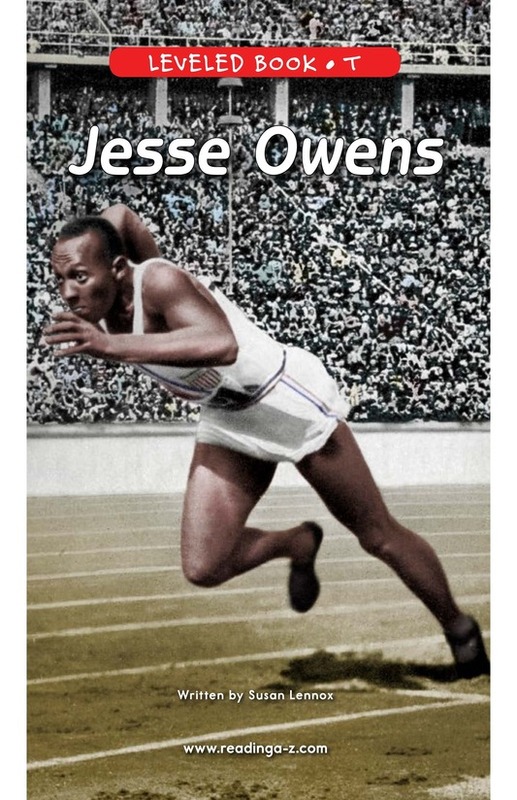 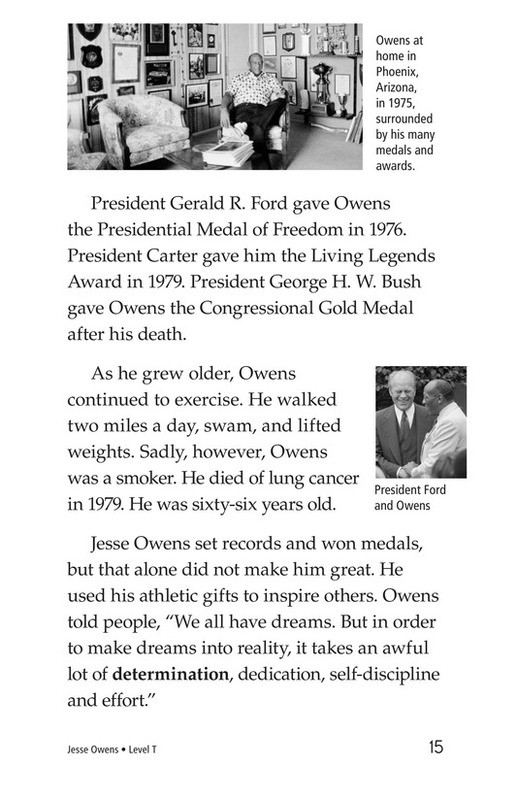 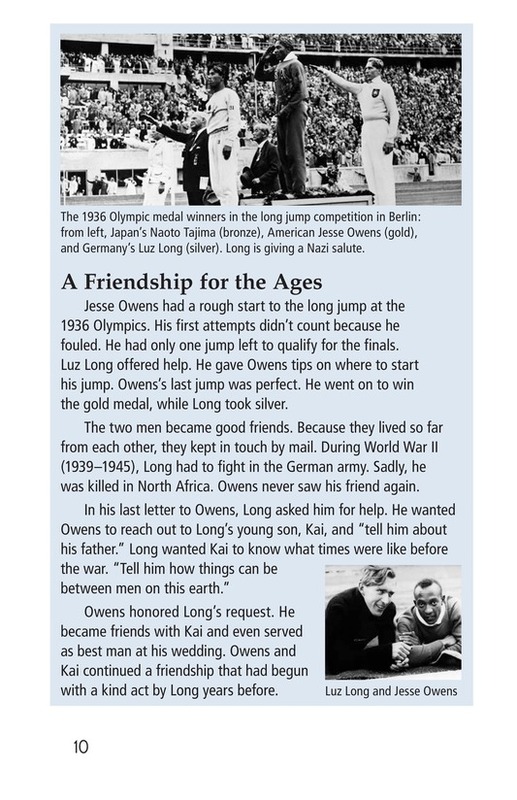 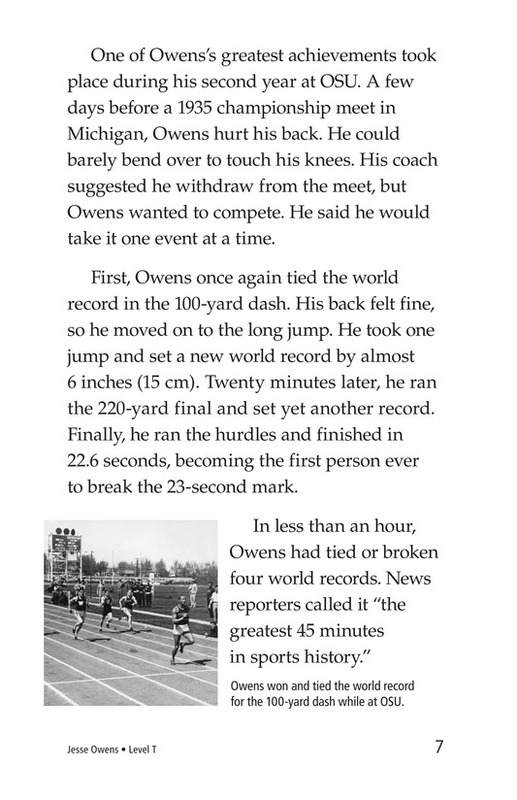 Jesse Owens tells the story of Olympic gold medalist Jesse Owens, one of the greatest track and field athletes of all time. 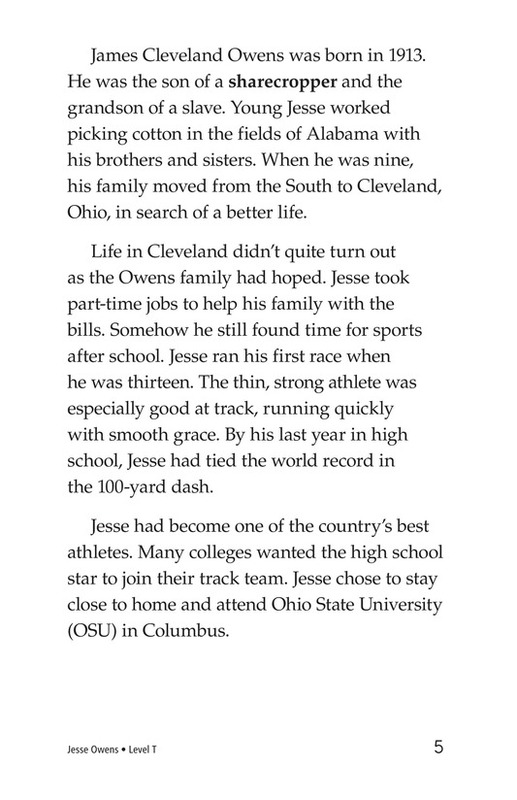 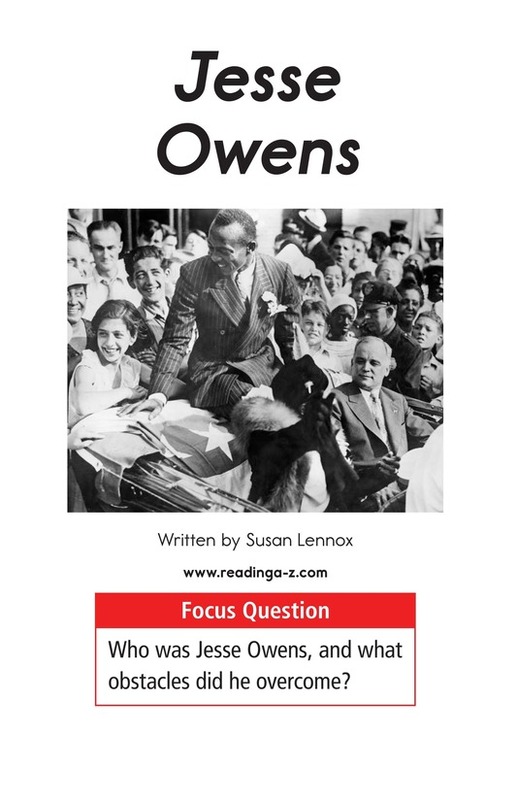 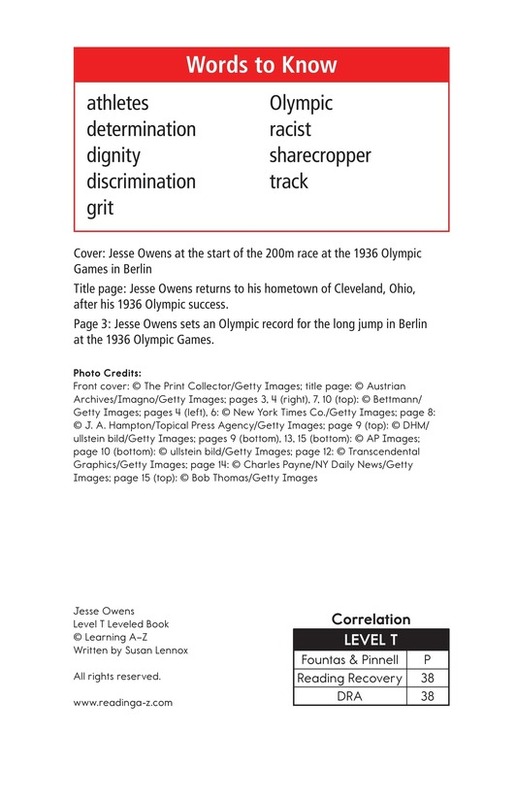 An African American who was the grandson of a slave, Jesse overcame discrimination and racism and showed the world the meaning of grit and determination. 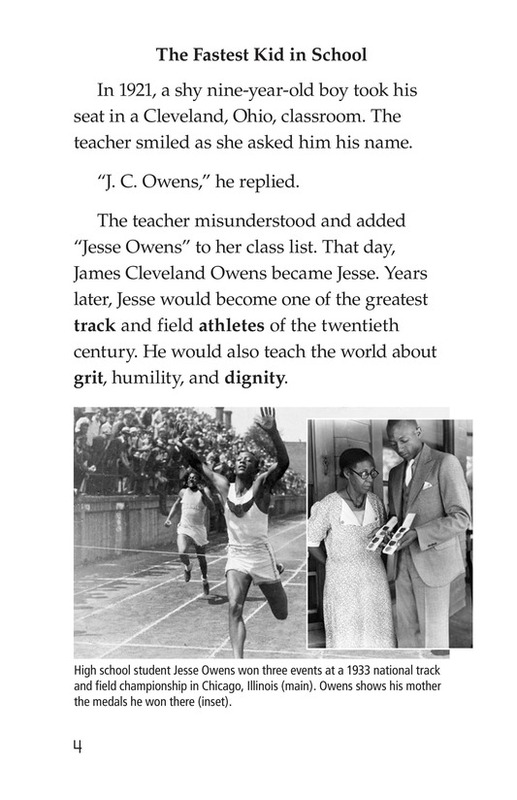 This powerful story, along with photographs from Jesse's life, will keep students engaged in learning about a major figure in the history of American sports. 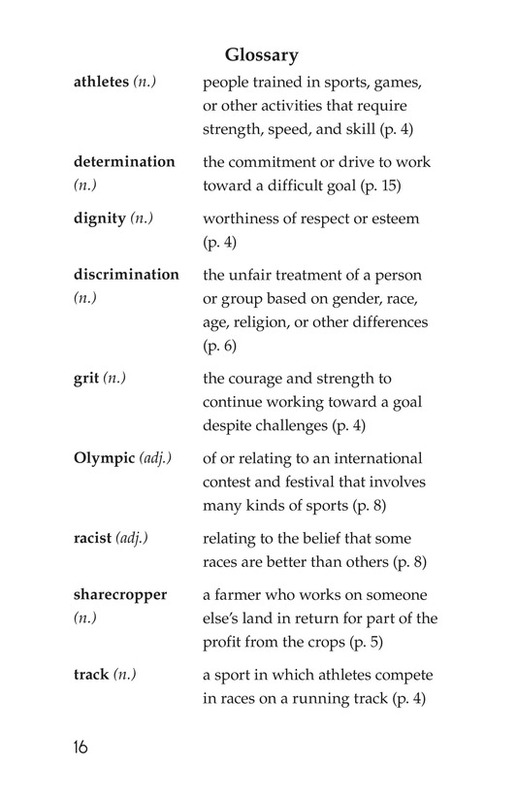 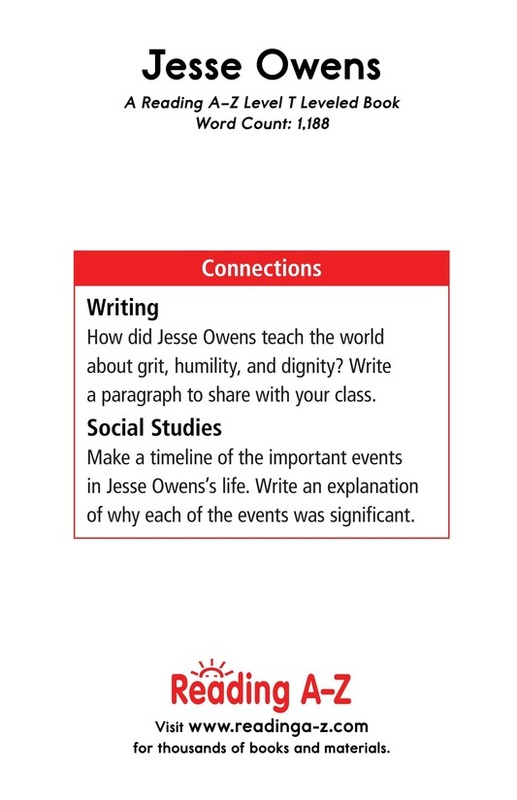 Students will also have the opportunity to identify elements of a biography as well as summarize to better understand the text.